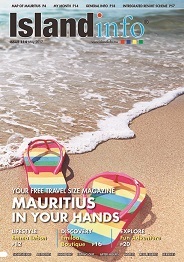 Mauritius - IS SPIDER-GIRL THE NEW SPIDER-MAN? Spider-Girl - aka Anya Corazon - is a 16-year-old high-school student of Latino descent who lives in New York. The makers, Marvel Comics, say she provides a positive, modern image of an empowered young woman. Unlike most superheroes, she has no superpowers, but she is trained in martial arts and has excellent fighting skills. Marvel hope the comic will appeal to the growing number of young female comic book readers. "People want to read stories with characters they relate to," says Spider-Girl editor Tom Brennan. "We certainly hope that young women will pick this up and enjoy it." 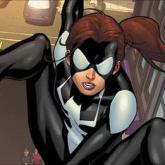 Spider-Girl wears a skin-tight black outfit with a large pale blue spider emblazed across her front, and is very toned and strong. Writer Paul Tobin told the BBC that it was important to him not to portray her in a "sexualised" way, or as a "trophy" girl. There is "definitely space in the market for a strong well-written female character", says Martin Averre who runs four comic book shops across the UK. "Many comics still unfortunately draw women with incredibly large breasts. If they get knocked over they fall in a different way to men," he told the BBC. Spider-Girl's father is an investigative reporter and she, like Spider-Man, has a strong sense of justice. She lacks Spider-Man's signature ability to cling to all sorts of surfaces with a special web, but she is not short on action says her creator. "She's a trained fighter, she can swing through the streets of New York the way Spider-Man does," says Mr Tobin. She is not a relative of Spider-Man and they are not, he stresses, boyfriend and girlfriend. As the storyline develops the two characters will sometimes work together on missions, with Spider-Man playing something of a mentor role. Spider-Girl has just gone on sale in the US, and will be available in the UK from 18 November. Comic book shop owner Martin Averre has ordered some copies, but says it is hard to predict how it will sell. "It's a far tougher market than it used to be," he contends. Comic readers now have thousands of titles to choose from, and new ones are launched every month, he says. Previous attempts to launch a Spider-Girl character have fallen somewhat flat, with only modest sales. But Mr Averre points out that the new revamped Spider-Girl, unlike her earlier incarnations, can interact with the other superheroes, which is "always popular with readers". Modern-day Spider-Girl has her own Twitter stream run by Paul Tobin, with occasional help from his wife. He admits that as a 44 year-old man, "it can be hard at times" to put himself in the shoes of a 16-year-old girl. But, he adds, "it's kind of fun!" Spider-Girl is very busy dealing with threats in her comic book life, he says. "But in the tweets she can be a little more whimsical. So her character is developing there as well."